This is me after an Obagi Original Blue Peel, Day 2, Day 4, and Day 6. Physician only strength, two layers total, one 15% and one 20%. Used Regenica Post Treatment Gel. 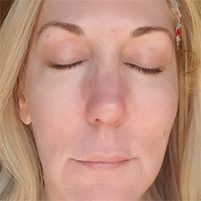 A Chemical Peel is a skin resurfacing procedure in which a chemical solution is applied to a specific area (face) to remove the outer surface layers of skin. Chemical peels come in a range of strengths, from a mild, superficial peel to a strong, deeper peel. 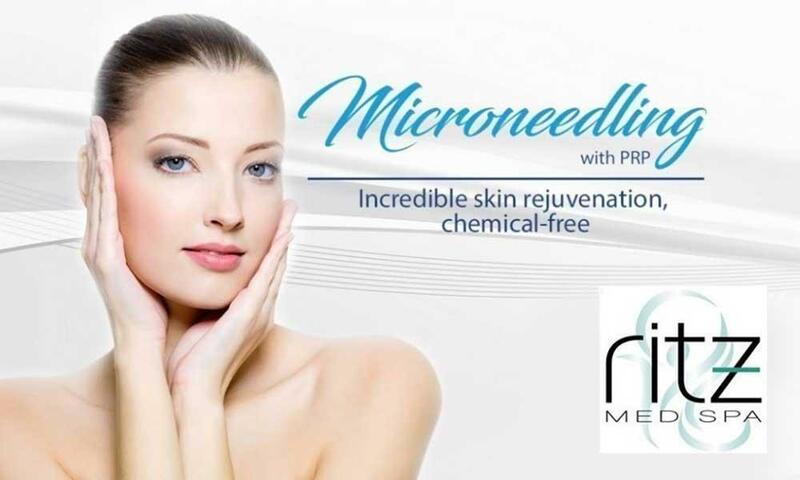 Chemical peels treat pigmentation, fine lines, skin texture, tone, and acne. Peels help skin emerge clearer, smoother, softer, and glowing! Several light to medium-depth peels can often achieve similar results to one deeper peel treatment, with less risk and shorter recovery time. Peel solutions may contain alpha or beta hydroxy acids (AHA/BHA), tricholoracetic acid (TCA) or phenol, and peel depth is determined by both solution ingredients and concentration. Peel choice is also results driven. AHA (glycolic, lactic, malic, citric, tartaric) and BHA (salicylic) are normally used for the milder peels, and can treat keratosis pilaris and lighten hyperpigmentation. TCA is normally used for medium depth peels, but can also be used for mild and deep peels depending on the concentration and method of application. It has less bleaching effects than phenol peels, and is good for peeling of the face, neck and hands, or spot peeling. Phenol is solely used for deep chemical peels. 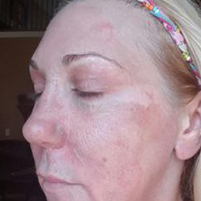 Phenol offers full-face peeling when sun damage, wrinkling, or scarring is severe. It can also be used to treat limited areas of the face, such as deep wrinkles around the mouth, but it may permanently bleach the skin, leaving a line of demarcation between the treated and untreated areas. Most peels performed today, are by-products of peels used for 50+ years, with additives that have further improved safety and cell renewal. More than one million people received chemical peels in 2015, according to the American Society of Plastic Surgeons. As with any medical procedure, patients who decide to undergo a chemical peel should carefully follow their instructions for pre- and post-procedure care so that they minimize the potential for adverse side effects. An experienced Aesthetician will be able to consider your concerns, access your skin type and condition, and choose the appropriate peel and strength. Mild Depth peels are superficial and have little to no post facial flaking or peeling. Some are gentle enough to get a great exfoliation and cellular turnover, without visible peeling. Medium Depth peels can cause mild to moderate flaking and peeling, depending on the choice of solution(s), additives, and number of layers. The process is normally 2-6 days. Deep dermal peels can take 7-14 days or more to complete the cycle. Will It Hurt During Treatment? Depending on the peel strength, there may be some discomfort, which a fan and drinking cold water may alleviate. Most people tolerate even the strongest levels very well. 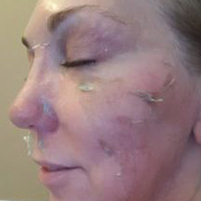 Some patients request anesthesia before receiving a deep phenol peel. Your Aesthetician can advise you on what type of results you can expect, and give you options to choose from to help you decide if your investment will be worth it to you. 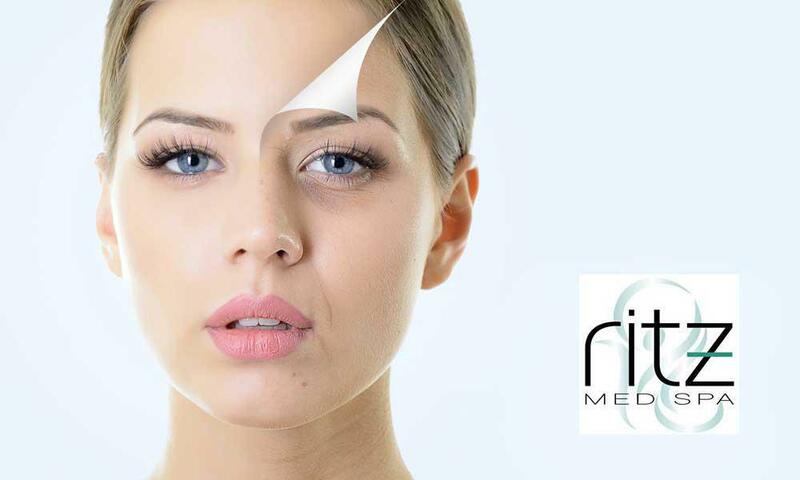 There are many other ways to accomplish skin rejuvenation, including micro-needling with PRP, laser photofacials, microdermabrasion with dermal infusion, various types of facials, skincare products , and more. Before a peel, adequate priming of the skin with specific products for at least 2-4 weeks, then discontinuing their use 4 days before the procedure, is most appropriate for safety and best results. Priming is done by application of depigmenting agents such as hydroquinone or retinoic acid and use of sunscreens. Patients will be instructed not to bleach, wax, scrub, massage or use depilatories, one week before the peel, Patients who are prone to cold sores will be given a prescription medication to take 2 days prior to the peel and continued for 10 days. During the peel, patients should be strictly warned against picking, peeling, scratching, rubbing or scrubbing the skin. Post treatment kit products are the only recommended products until peeling is complete. Your peel appointment will be about 45 minutes. Your skin will be cleansed and dried thoroughly, then primed with a solution. Your Aesthetician will then apply the peel , using a fan to keep the skin comfortable. You may feel a warm, tingly sensation on the skin with the application of the solution. As a general rule, the stronger the peel, the more warmth you will feel. For medium and deep peels, you will be given a Post Treatment Kit with approximately 5-7 days of products. These are the only products you should use. Retin-A can be resumed once peeling has stopped. For the first few days, your skin will feel tight and a bit dry, and then beginning around day three, depending on your peel strength, skin will begin to slough off for the next 1-14 days. After the peel, your skin will look renewed, acne will be reduced, sun spots will be lighter, and fine lines and wrinkles will be softened. A series of peels may be recommended to further enhance results.